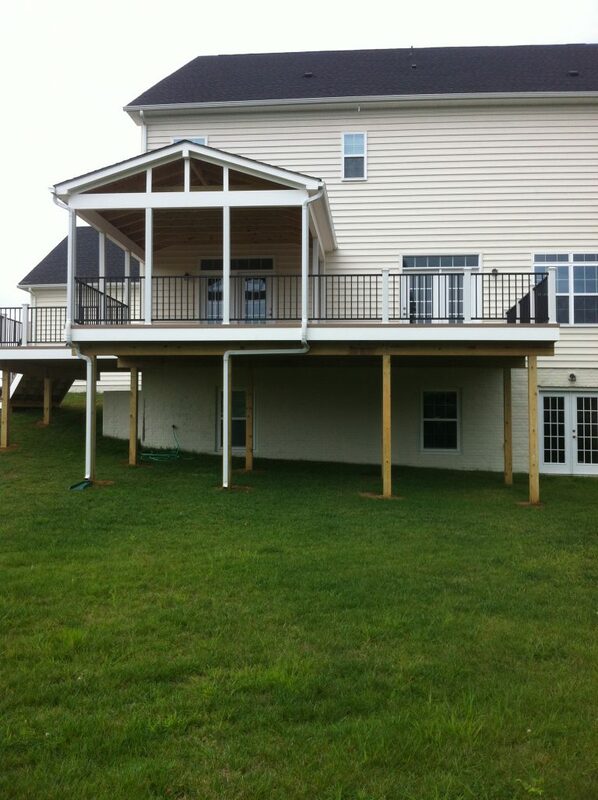 Pressure treated decks are a very popular option. They are the least expensive option. 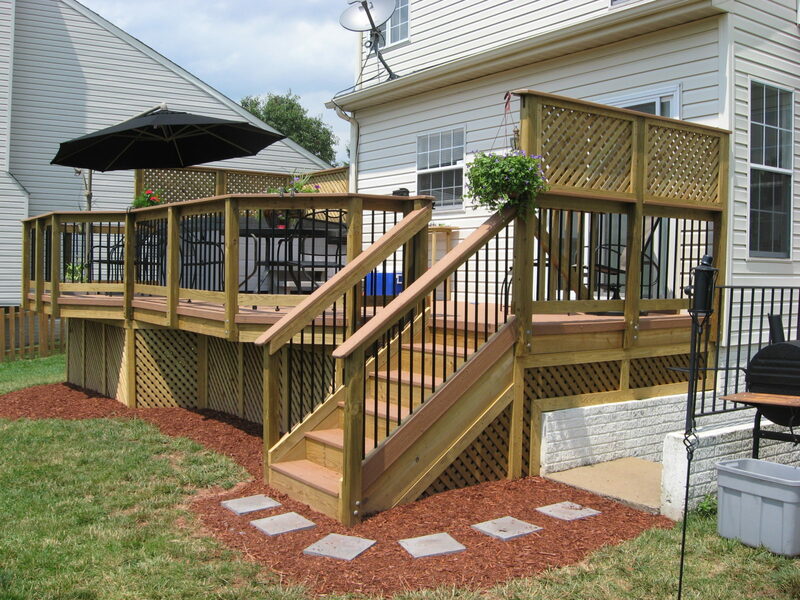 These decks are built with high-quality pressure treated wood from Madison Wood Preservers. The chemicals used to treat the wood help to prevent rot and splintering. To further prevent these issues, we recommend sealing the deck every 1-3 years. Pressure treated decks require the most amount of maintenance. Hybrid decks fall in the middle of the spectrum on both price and maintenance. They are a combination of pressure treated wood and composite material. 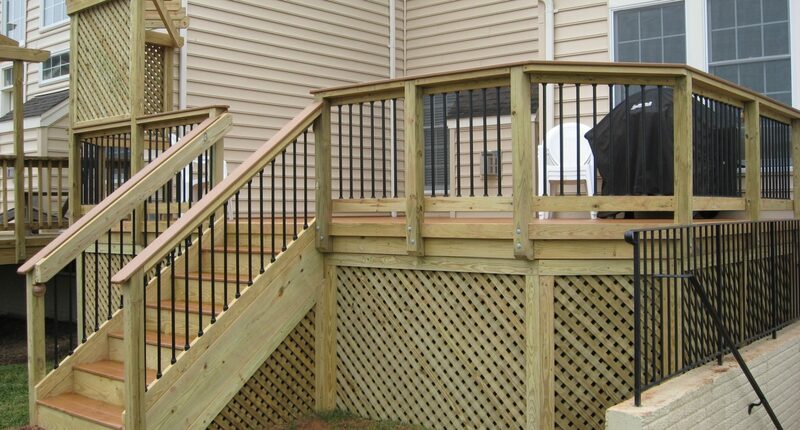 We use composite material on the high traffic areas, and build the structure and railings with pressure treated wood. 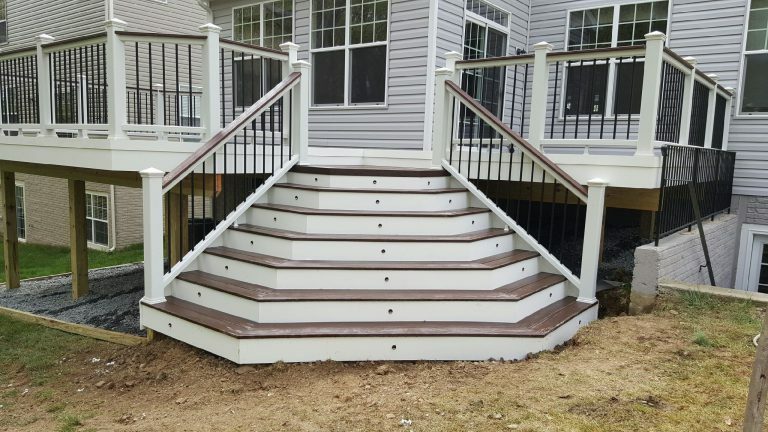 Because we install composite material on the floor, stair treads and top of the railing, these decks require less maintenance over time. 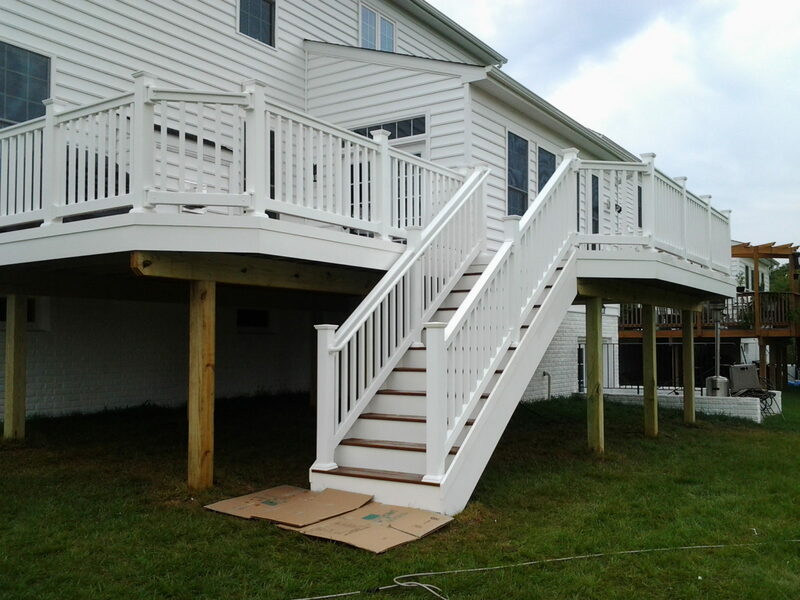 Composite decks are the most expensive option and require the least amount of maintenance. 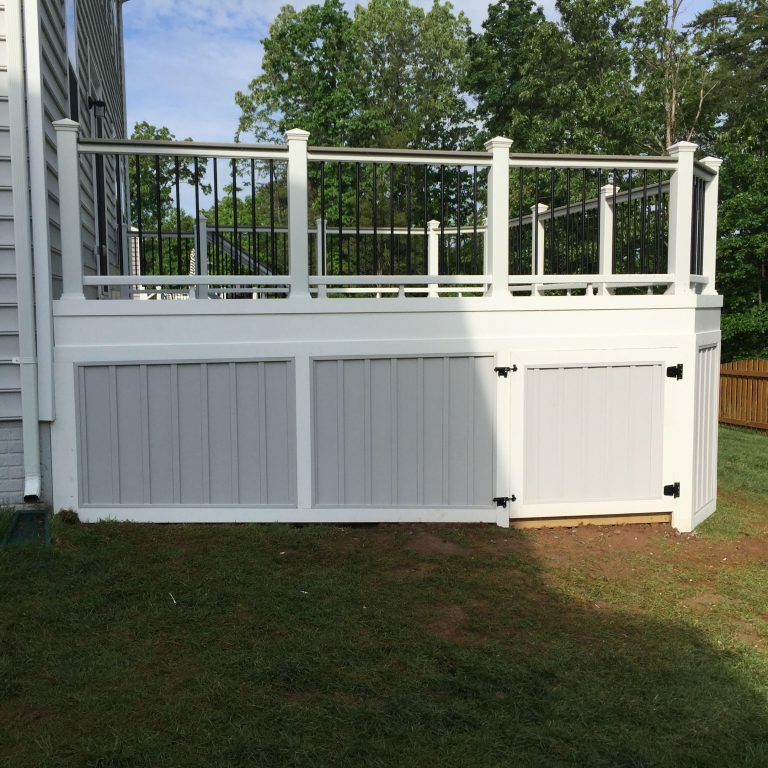 The structure is pressure treated wood and the floor, railings, and fascia are composite. 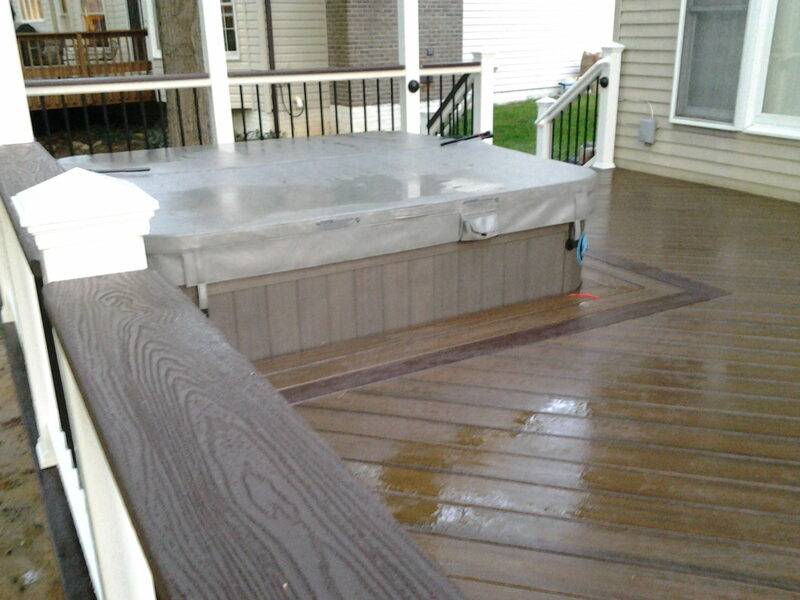 To maintain a composite deck, simply wash it off with soap and water when needed. 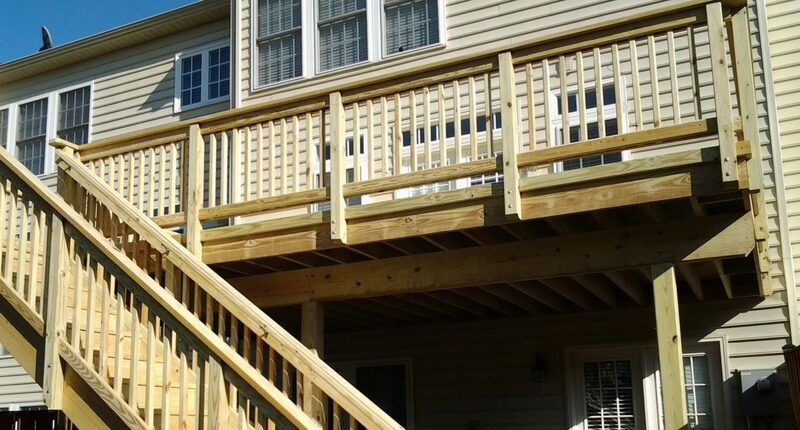 One of the main things that dictates the quality of a composite deck is the material. Here at LDFCo, we use high-quality composite materials. 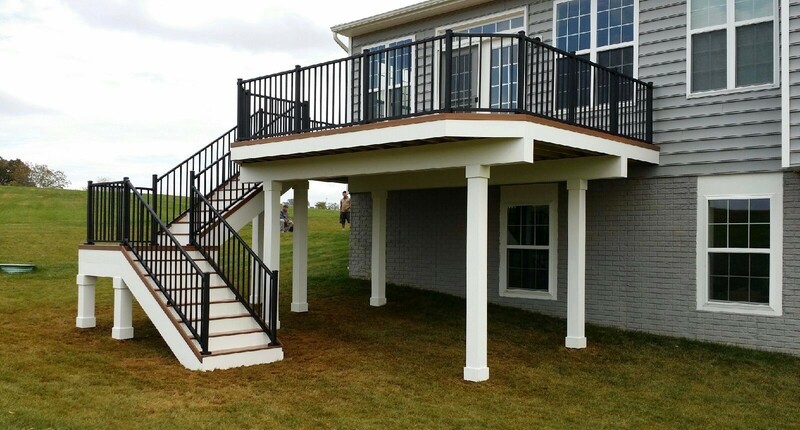 The support posts and beams can also be covered with composite material as an additional option. This material requires a lot of maintenance including sealing or painting it every 1-3 years. This material is a combination of pressure treated wood and composite. We still recommend sealing the pressure treated parts, but the composite parts require little to no maintenance. When installed this material requires little to no maintance on both the floor and the railings. Without stain or sealant this material will begin to grey and darken. Since the hybrid is a combination of materials the pressure treated parts will begin to grey and darken, but the composite areas will maintain their appearance. This material will maintain its appearance for a long time with little to no maintenance. Pressure treated wood will splinter and crack as it dries. A Sealant or stain will help to slow this process, but will not prevent it. The composite part of this deck will not splinter, but the pressure treated areas will splinter and crack as they dry. This material will not splinter or crack. HOW LONG WILL THE DECK LAST? 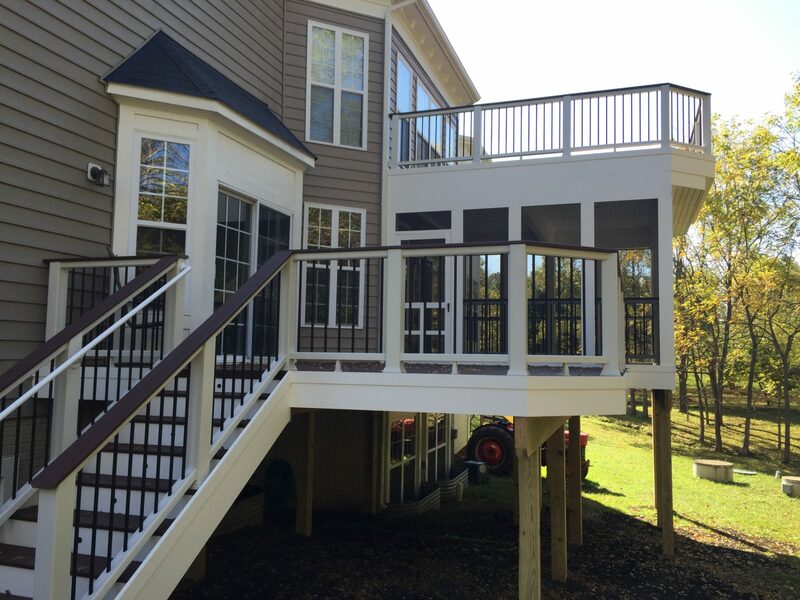 With regular applications of sealant, this deck will typically last about 10-15 years. 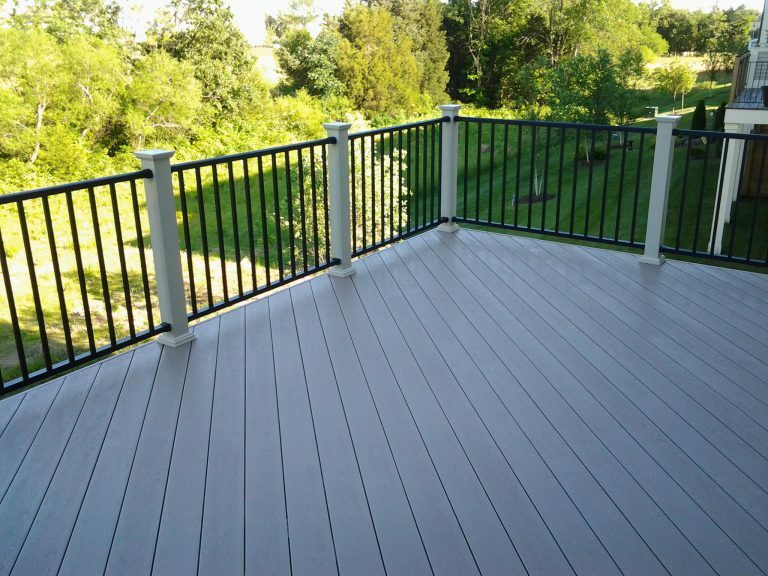 With sealant, this deck will typically last 20-25 years because the areas of the deck that will experience the most sun exposure are made of composite material. 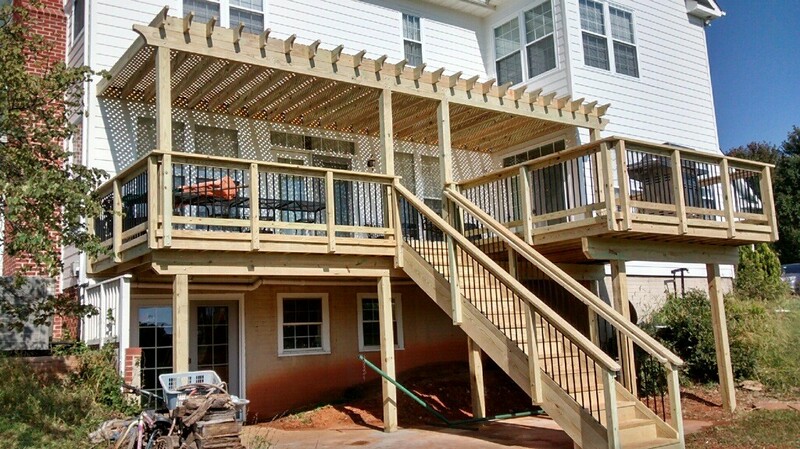 This deck will last 20-25 years with minimal maintenance. *The information expressed within this chart is based off of our own experience over the past 20 years. This chart is not meant to be 100% accurate, rather it is used for educational purposes of what to typically expect. This information is not covered under our warranty. To learn about our warranty go to the ‘FAQ’s page’. Do any of these options interest you? Ask about them at your free estimate!